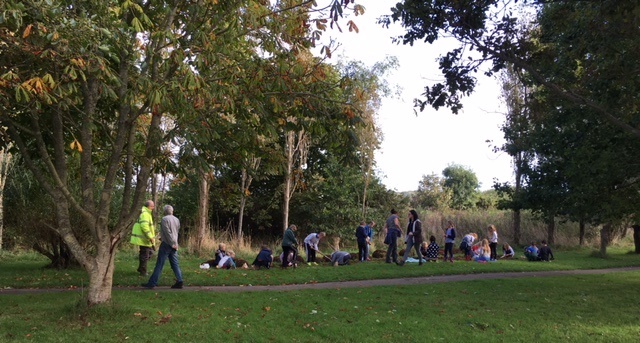 Millbrook Lake will be graced by a ‘host of golden daffodils’ next spring.The Daffodil Planting Day at Millbrook Lake on Wednesday 28th September was a great success. The children enthusiastically got stuck into the planting even though the weather in the afternoon was a bit damp. The daffodils were donated by the Anthony Estate and are part of ‘Get Millbrook Buzzing’, Millbrook’s ongoing project to encourage wildlife to the lake area of the village. 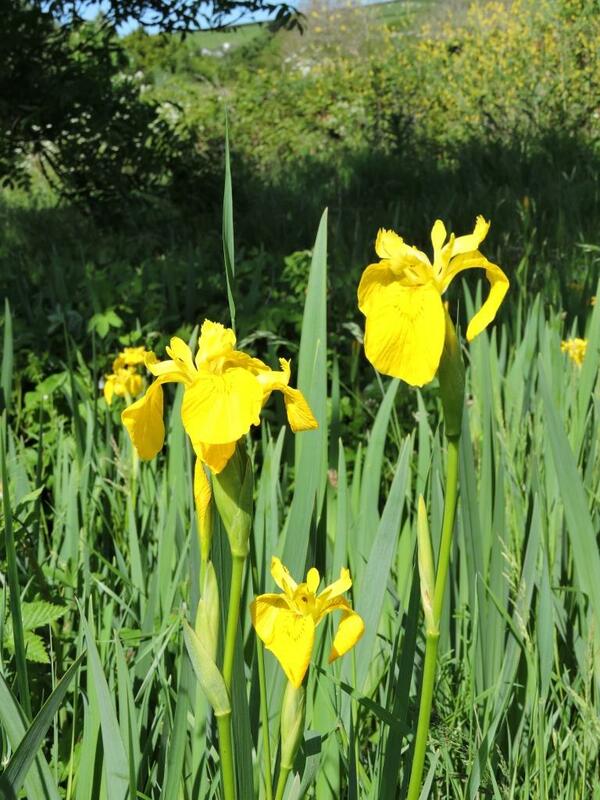 In the last year, as well as daffodils, hundreds of wild flowers have been planted around the lake by volunteers and the Millbrook Village Enhancement Team . 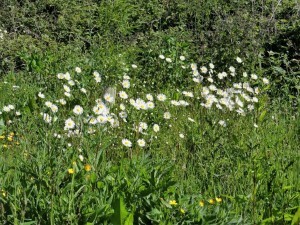 It has resulted in sightings of Yellow Rattle; a plant rarely seen in previous years. 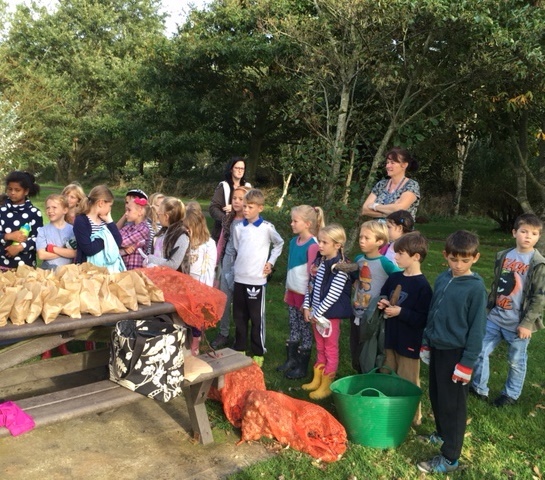 Susan Dyter, Head Teacher at Millbrook School said“The children had a fabulous time and it is great that they can benefit from being involved with community projects.”The community benefits were also highlighted by Beaver Group leader Rosemary Hancock who said,“The village project is great at producing the obvious – lovely flowers, increased plant and animal life, and appearance. But it is also creating a bonding between people in the village. Well done”. 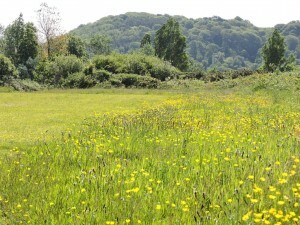 Millbrook Park is looking especially good at the moment with a variety of wild flowers on show. 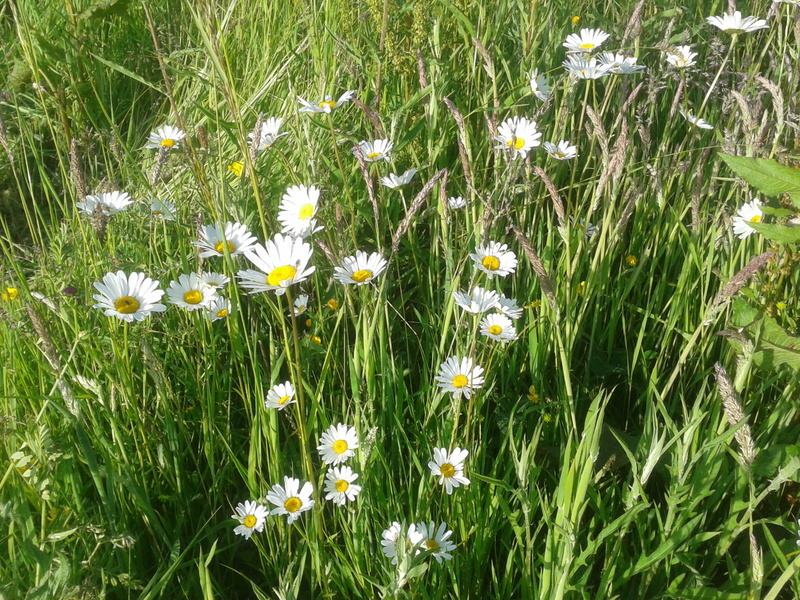 This is a direct result of the Parish Council’s Get Millbrook Buzzing project and the decision to ‘re-wild’ parts of the park and leave them unmown. 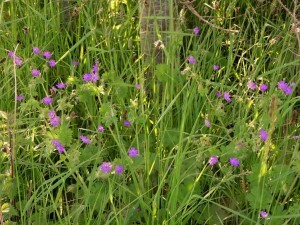 The flowers will provide pollen and nectar for bees and other insect pollinators. 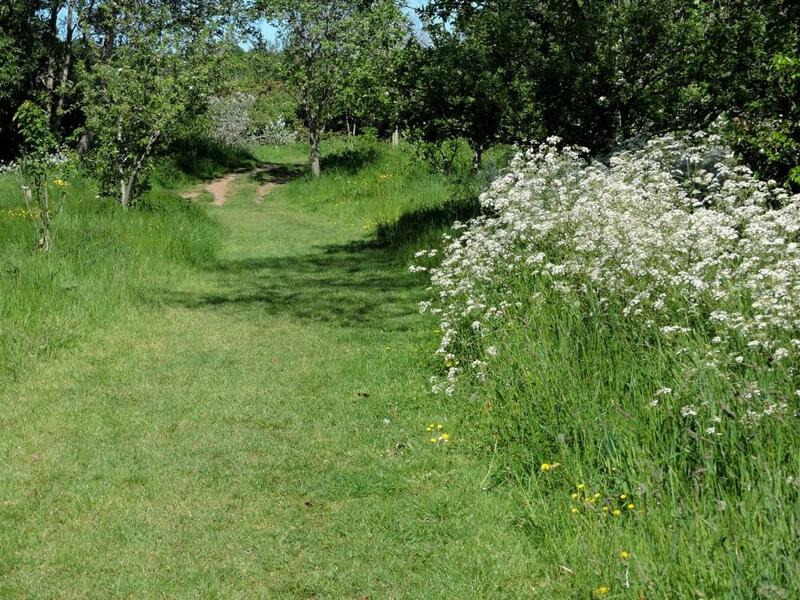 The Orchard trees we planted in the winter all appear to have taken and several are in flower. 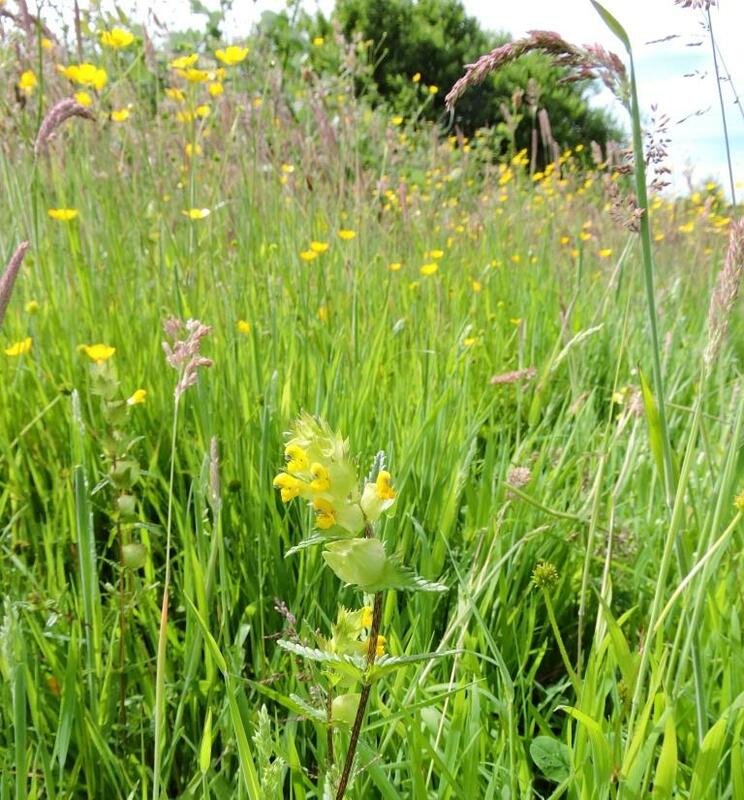 June is the month to lookout for Bee Orchids – last year there were 9 plants. 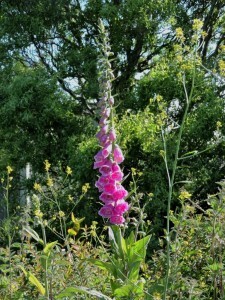 Please don’t pick or dig up these rare plants – they have very specific growing requirements and are unlikely to grow in your garden, so leave them for everyone else to enjoy. On Sunday 17 April a dozen or so Parish Councillors and volunteers met in the playing fields. Lead by Councilor Bruce Taggart we had the task of planting 1,000 wild flowers plugs along a 4 metre strip by the brambles. 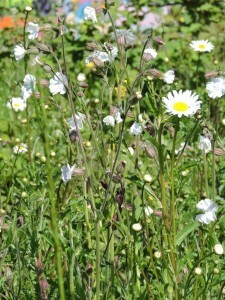 We planted 15 or so plugs in small groups all around the large grassy area in the centre of the playing fields. 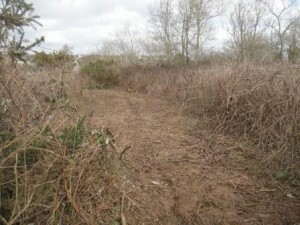 the money spent came from part of the grant the Parish Council have to improve the area. 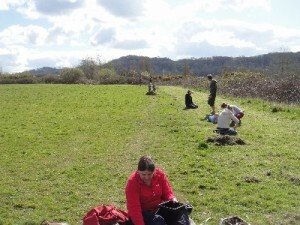 It was a lovely sunny morning and it was quite a social occasion with lots of laughter which made the time pass very quickly.This task was completed as well as the ground being raked by the orchard and wild flower seeds sown. 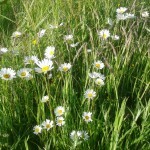 We all look forward to seeing all the flowers in the summer which will hopefully attract many bees and other wildlife. 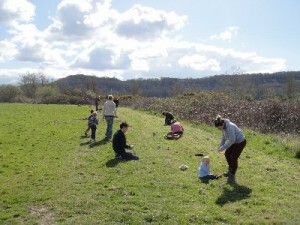 Many thanks to all who turned out and gave time to help improve the village. 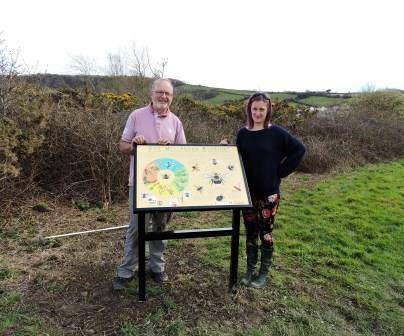 Yesterday, Bruce and Chris and illustrator Sadie Barrow installed a new interpretation panel in Millbrook Park ably assisted by Andrew and Ashton. The panel was Bruce’s idea, to help promote the Get Millbrook Buzzing Project and was designed and illustrated by Sadie who lives in Millbrook. 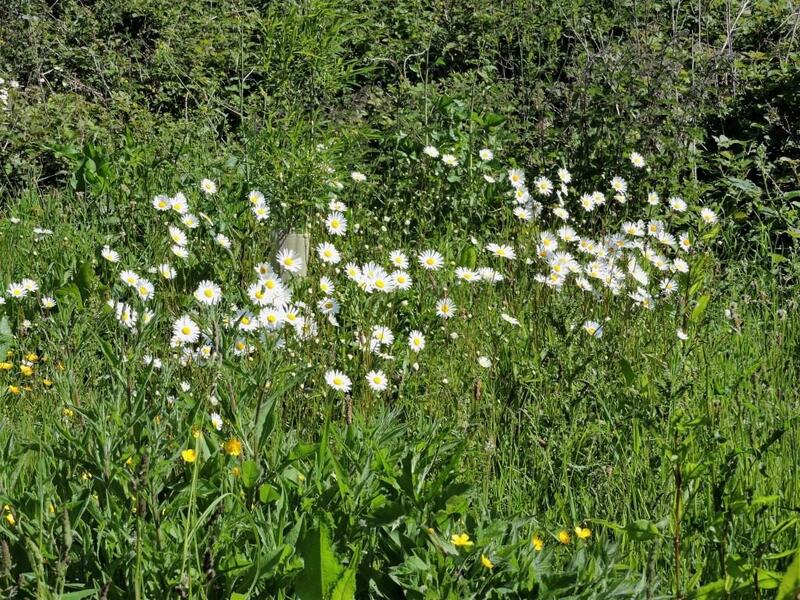 Funded from the National Lottery it is one of several projects that the Parish Council has initiated to improve our surroundings for bees, butterflies and other wildlife. Our new Get Millbrook Buzzing information panel. We are working on adding an interactive map to the website, so you can tell us about the amazing things you do for wildlife in your garden, school or place of work. There will be space for photos too, so you can share what you are doing with others in our community. This is still work in progress but we hope to launch the My Nature Haven map very soon. Watch this space! The Get Millbrook Buzzing team have prepared a newsletter that will be distributed to every house in Millbrook. It explains why insect pollinators are important and some simple steps we can all take to help pollinators. It also lists the top ten plants recommended by the Royal Horticultural Society as Perfect for Pollinators. Look out for your copy that will be dropping through your letterbox soon or read on line here. 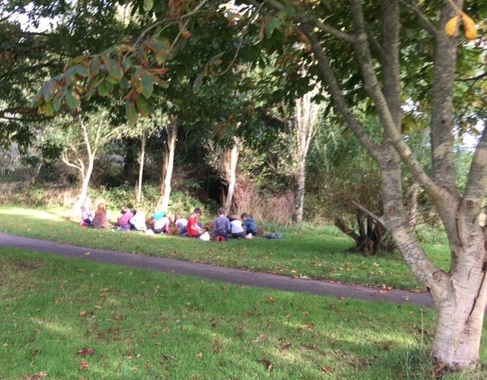 Although the bees have been asleep over the winter, the Get Millbrook Buzzing team have been have been busy, mostly with work in Millbrook Park. 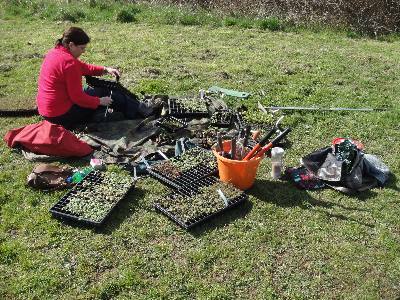 Having planted 1000 daffodils in September we followed this with more bulb planting in November; this time it was native plants in the woodland area near the New Road entrance. Snowdrop and Winter Aconite will be the first to flower in January and February, then Wild Garlic, Bluebells and Wood Anemone in April and May. 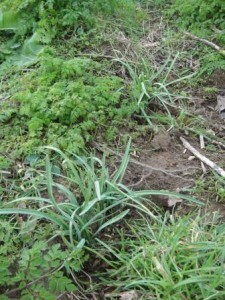 In February we did a second planting of ‘in the green’ Snowdrops, Wild Garlic and Bluebells. These were planted around the orchard and it will be interesting to compare how these fare when compared to the dry bulb planting last autumn but the garlic are already growing. 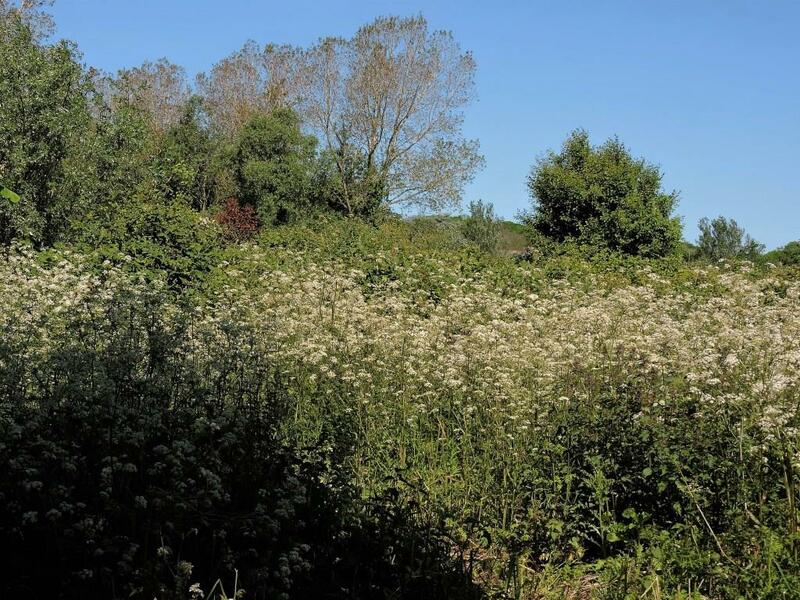 It was planned to cut back the large patches of bramble and create wildflower pathways and sheltered clearings and more tree planting space. Unfortunately the wet weather made it impossible to get a tractor onto the site and we had to wait until early March to get a low impact machine in to do the job. Even so this cut up the ground quite a bit and even got stuck on one occasion and had to be dug out. This was the last opportunity to get the work done before the bird nesting season so any further cutting will have to wait till next winter. The weather also hampered our orchard planting plans. Vix Hill-Ryder had researched and sourced a supplier for replacement fruit trees including several traditional Tamar Valley apples varieties. However, the planned community planting event in February had to be postponed but the trees did get planted over the next few weeks. 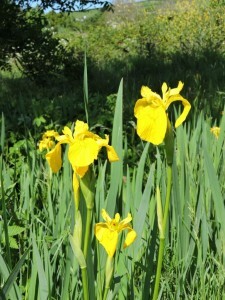 A list of the varieties and their characteristics can be found here. As part of the Get Millbrook Buzzing project, several more fruit trees were added to the orchard in February 2016. In addition to the orchard, several Hornbeam trees have been planted in the raised beds around the Parade. These are ‘fastigiata’ cultivars that will develop an interesting compact conical shape as they grow. The Parish Council grass cutting tender documents were drawn up in February and have been improved to include more long grass areas that will enable plants to flower and set seed. 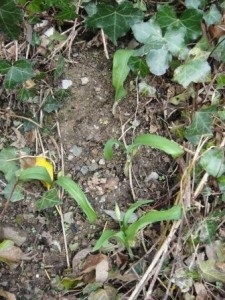 Within these areas it is planned to plant native wildflower plugs in April that will increase the diversity and flowering period. 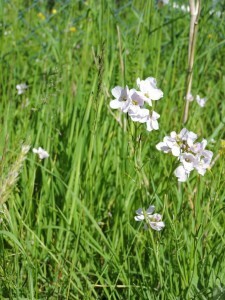 We will monitor and record the distribution and abundance of species over the next few years. We have been working with local illustrator Sadie Barrow to design a new interpretation panel for the Park. Sadie who lives in Millbrook, recently graduated from Plymouth College of Art and it is fantastic that we have such a talented artist on our doorstep. Once briefed with our concept she drew the pictures and designed the layout, working with the local schools to get their ideas too. The panel is currently being printed but a proof can be previewed here. The panel will be A1 sized, similar to the Kingfisher one and will be sited in the meadow area of the Park. Another thing the poor weather did not affect was the Enhancement teams’ window display in the Peninsula Trust’s Rame Centre, timed to coincide with tree planting in the Orchard and in planters around the village. Chris designed the layout that included model boats and orchard trees and it received numerous complimentary comments. So what’s coming up? 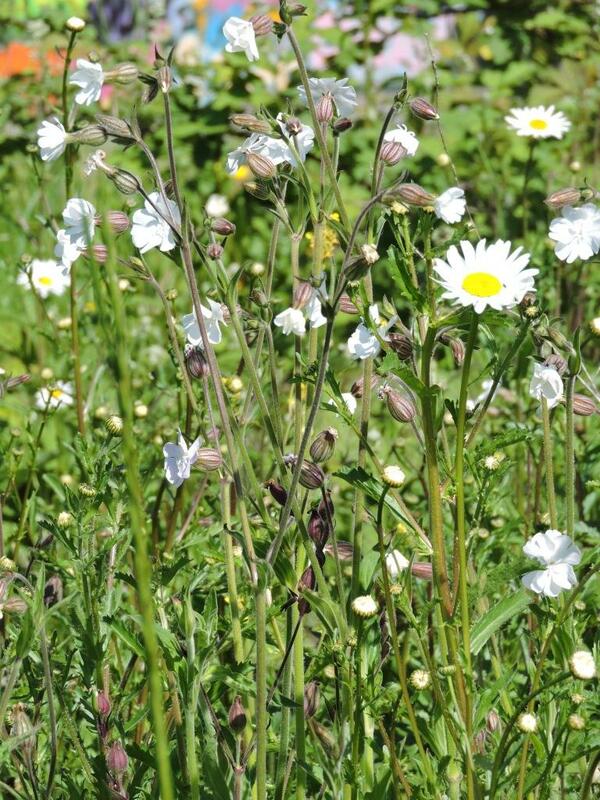 The wildflower plug planting in April will our main spring event – look out for publicity material out soon. We also plan to have a flyer printed that will go out to all the homes in our village telling you how you can improve your garden or local patch for pollinators. And finally there is an exciting idea to produce an interactive wildlife map on this website. It will enable everyone to get involved by plotting what you’ve done to help the pollinators and wildlife of Millbrook. 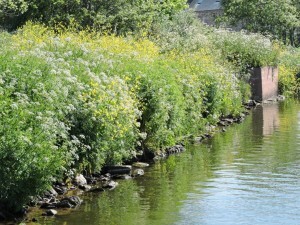 Bruce Taggart, Parish Councillor, Get Millbrook Buzzing Co-ordinator. 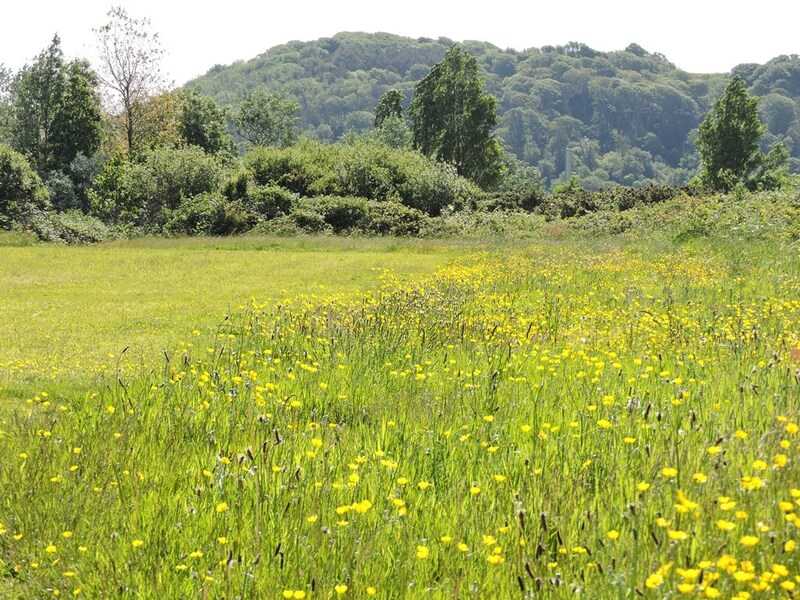 In November 2014 the UK government published a National Pollinator Strategy that sets out a 10 year plan to help pollinating insects survive and thrive. 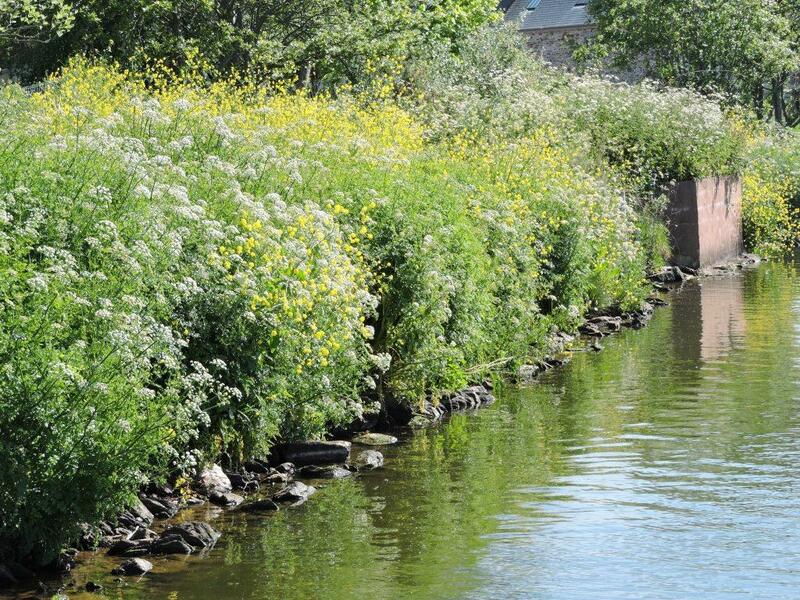 The link to this strategy can be found here – National Pollinator Strategy. Our pollinators are vital for food production and biodiversity and they face a range of pressures from habitat loss to pests and diseases.